Makeover challenges: Efforts to convert the Metropolitan Building in Kolkata, owned by LIC, into a retail hub have been stalled by the tenants. Across Indian cities there is a growing interest in preserving architectural heritage, after years of neglect, partly led by a paucity of real estate spaces in prime locations and, in some cases, by the lower cost of converting well-kept buildings which, with a bit of work, can spring back to life as corporate headquarters or retail destinations. In Kolkata alone, some 1,300 buildings in the city’s commercial district have been identified as heritage structures. In Mysore, Varanashi is currently restoring a private home, measuring 3,000 sq. ft, which will house a Planet M retail store and a Barista coffee shop. “We cannot mindlessly glorify the past," he says. “Heritage buildings can be conserved only when we can find contemporary ways of utilizing that space." 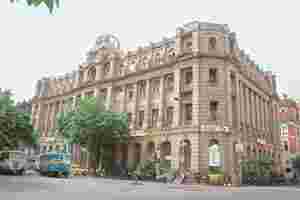 In Bangalore, for instance, ITC Infotech India Ltd, a subsidiary of ITC Ltd, has set up its BPO division in a red brick heritage building, which was once a tobacco warehouse. But Bangalore, with a pronounced focus on futuristic technology, has a mixed record in the conservation of heritage buildings. Still, “in the past five years, the awareness about architectural conservation has increased in the city," says Karthikeyan S., a senior architect at Mistry Architects, which is responsible for some of the most eye-catching restoration projects in the city. Now, one-tenth of the 40-45 projects that Mistry works on every year are heritage projects, such as the ITC office and the conversion of a 100-year-old family home of city-based jewellers, Ganjam, into a public space. Architects also point out that in cases where buildings are not in a state of complete disrepair, restoring a heritage building works out cheaper than constructing a new one. In the Mysore home that Varanashi is restoring, the space will cost up to Rs500 per sq. ft. In comparison, fresh construction would cost an average of Rs1,200 per sq. ft, says Varanashi. According to studies done by the Indian National Trust for Art and Cultural Heritage (Intach), the cost of restoring the 50,000 sq. ft Duff College in Kolkata was Rs3 crore, whereas to put up a new building of a similar size would have cost Rs5 crore. In Kolkata, realtors and property owners are also scrambling to unlock the value of heritage buildings mostly located in the commercial and business hub of the city. “People have realized the economic value of their heritage," says G.M. Kapur, convener of the West Bengal and Kolkata regional chapter of Intach. “I have at least 12 requests from those wanting to house boutiques, restaurants and stores within heritage buildings." In a bid to provide heritage building owners cash incentives to preserve such properties, conservationists in Kolkata are lobbying for the introduction of the so-called transferable development rights. Under the plan, owners of heritage buildings who preserve them are allowed to sell space, which they may stand to lose by not knocking it down, to developers who purchase those rights and use the floor area sold to add to existing non-heritage developments in other projects. The money gained from the developer is then used to preserve these buildings. The sale of the space is entirely based on the opportunity lost, somewhat similar to carbon credit trading. In addition to lower costs, there is also some glory to be had. In Mumbai, for example, the Sir JJ School of Art Building won an award of merit at last year’s Unesco Asia-Pacific Heritage Awards. The art educational institution was saved from decline and the award that followed has generated some more interest in restoration and reusing old buildings. Still, preserving some of these heritage buildings is not easy, as many of them are old crumbling structures, which have seen little maintenance over the years and have sometimes even been used by squatters. Old buildings also require a detailed cost and structure audit before they can be readied for contemporary use. For instance, disproportionately large rooms can mean wasted space and higher air conditioning bills, in addition to the cost of structural repairs. That hasn’t deterred developers from trying to buy old properties because of a growing breed of potential buyers who are also looking for a piece of history and willing to pay a premium for it. Harshvardhan Neotia, chairman of realty firm Ambuja Development, is scouting for an appropriate property to house his hotel project in Kolkata. “Such a property would yield 20–30 rooms, this will eventually raise the per-bed costs and the pricing of the hotel," says Neotia, who is confident that a niche clientele will pay a higher room rental for an old world ambience. The critical challenge in working with heritage properties has been the evacuation of existing tenants. Efforts to convert the Metropolitan Building on Kolkata’s Chowringhee Road, owned by the Life Insurance Corp. of India Ltd, into a retail hub have stalled as tenants refuse to vacate the building. The other big challenge in restoration work is the availability of skilled workers who can recreate construction styles. “The making of lime mortar to plaster walls is a dying art," said Nilina Deb Lal, a conservation architect, who says masons today are unwilling to dabble with a technique that is time consuming. As a result, cement is commonly used in restoration work as it offers quick-fix solutions. Conservationists now recommend that heritage buildings should be taken out of the purview of the tenancy laws. Such initiatives would have to come from outside the government establishment before the laws can be amended, says an official of the Kolkata Metropolitan Corporation, who did not wish to be identified because he isn’t authorized to speak with the media.